How are Privacy Filters Made and How do they function? Privacy filters, also known as privacy screens, are like a set of vertical blinds for your computer monitor or any device with a screen but on a Nanoscale. Most modern-day filters are only the thickness of a common business card — .012” (.3 mm). Unlike vertical blinds, the louvers are permanently set in the full open (on edge) position. There are approximately 42 louvers in the 12-pt. letter “a” shown below. This makes for about 715 of these louvers per inch (25.4mm) and equates to thousands of mini-louvers per typical screen. The thickness of a dollar bill (.0043”) is approximately the same thickness as 2 louvers in the images below. Because June is Computer Vision Syndrome Awareness Month, we thought we'd showcase how Photodon's MXB blue light-cut film can help not only eye-health but overall health. 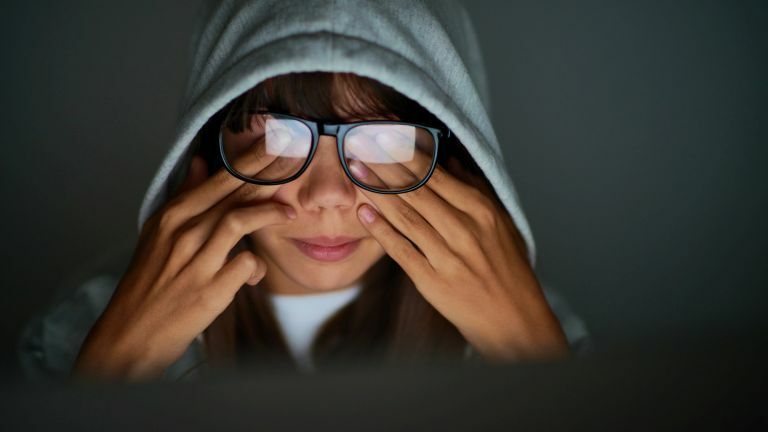 The American Opthomalic Association warns against the dangers of long periods of exposure from computers and other digital screens on the health of our eyes. Computer Vision Syndrome is basically eye strain and blurred vision due to staring at digital screens for long periods of time. C) had to be replaced monthly because the plastic would get damaged when the paint had to be cleaned off it. The TopMix touch screen is connected to a scale and mixer. When the paint is mixed, as you can imagine, it can splatter. 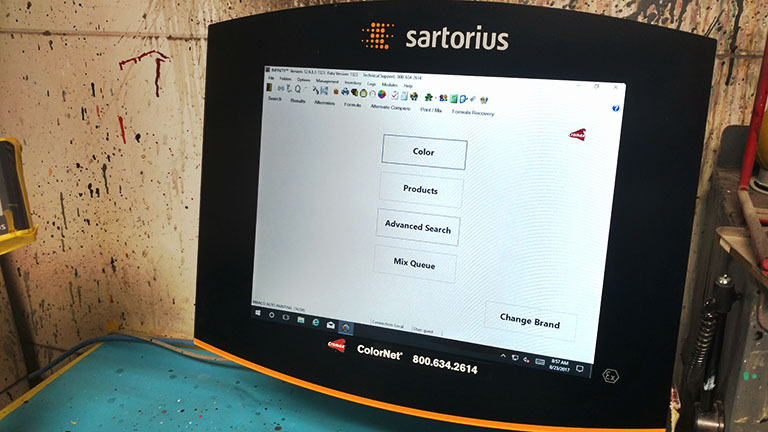 In addition, the paint shop workers often touch the screen with gloves that have paint on them. This means that the very expensive touch screen needs to be protected. Jason explained, "I use a paint thinner to clean the screen about once a week, and the protector I'm using gets damaged quickly. I'm spending a fortune on these protective covers. "I'm hoping you can help me." 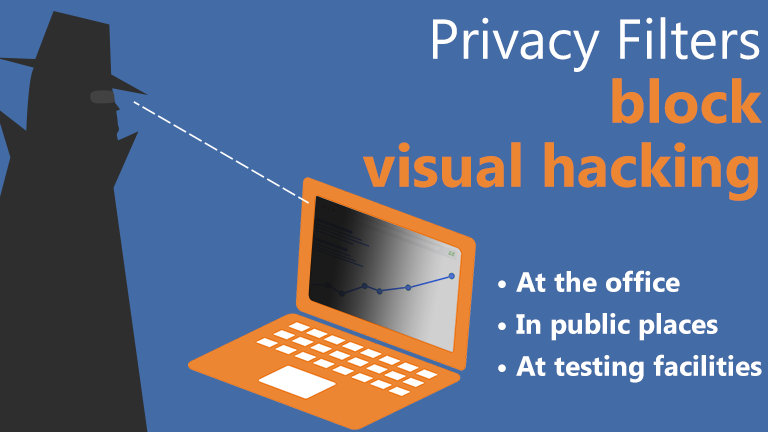 Increasingly, companies find it essential that images, data, and other information be protected from visual hacking. Leadership teams are making the decision to provide their employees with computer privacy screens so as to decrease the risk of private and/or sensitive information getting within sight of unauthorized personnel or clients. Photodon's highly scratch-resistant oleophobic 9HO screen protective film is a rockstar in Photodon’s film lineup. Not only is it one of the most scratch resistant films available on the market, it is extremely clear, with a glass-like finish. It’s easy to clean, affordable and — unlike tempered glass — it's shatterproof. 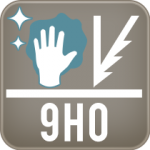 But what exactly does 9H mean in terms of scratch resistance? 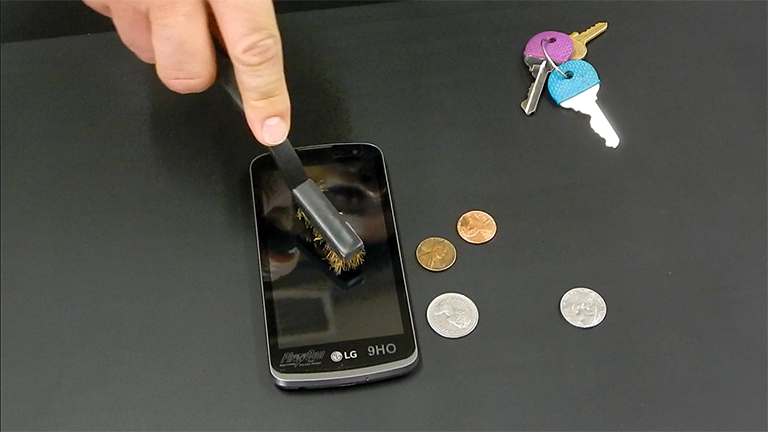 There are many ways testing labs will evaluate the hardness of a given material. One common way is to test a surface with minerals of varying degrees of hardness to determine if it will scratch a surface. Another way is to use pencils that are on a hardness scale that ranges from 2H to 9H. The higher the number, the harder the lead. The most commonly used pencils are 2H on the hardness scale — not very hard. You may notice that if you use much pressure on a #2 pencil tip, the tip will break easily. 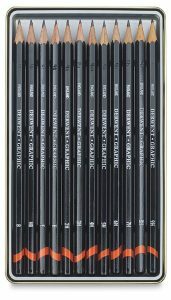 Many artists will use 9H pencils — the hardest pencil grade available — so their pencils don't break as they draw. One way Photodon’s screen protectors were tested was by using pencil hardness methods as set forth by the highly reputable American Society for Testing and Materials (ASTM) International Standards. Photodon’s 9HO film surface was evaluated for its ability to withstand scratches using these graded pencils. 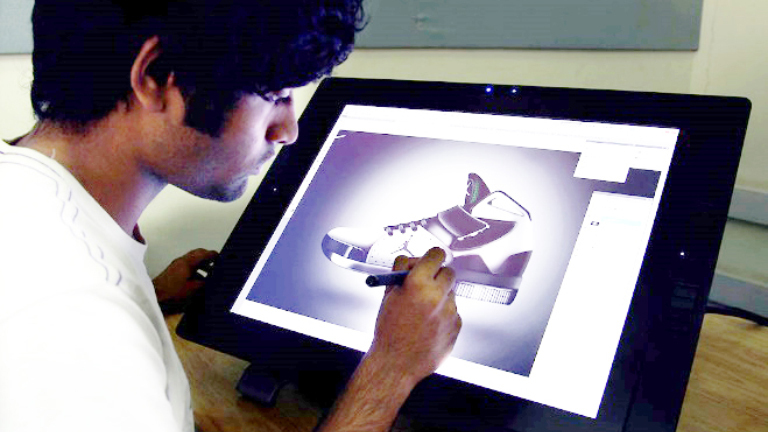 Whether you use a drawing tablet for work or for play, a stylus may cause damage to your screen. Photodon carries several popular screen protectors for drawing tablets, which not only help protect your investment but can enhance your drawing experience. In fact, we've had many customers tell us that they love their tablet even more with one of Photodon's screen protectors installed. While so much depends on personal preference and drawing habits, here is some information based on customer feedback we've received to help determine which film type might work best for you. Open office spaces, whereby employees all work in one open space with few to zero barriers in between them, can create problems. Productivity can slow because there are so many distractions. Or workers find they have no privacy. 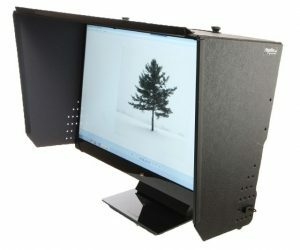 A Photodon monitor hood is an affordable solution to these problems. Ergonomist — those who are concerned with providing the safest environment for workers — know that long-term computer use can lead to serious health hazards. 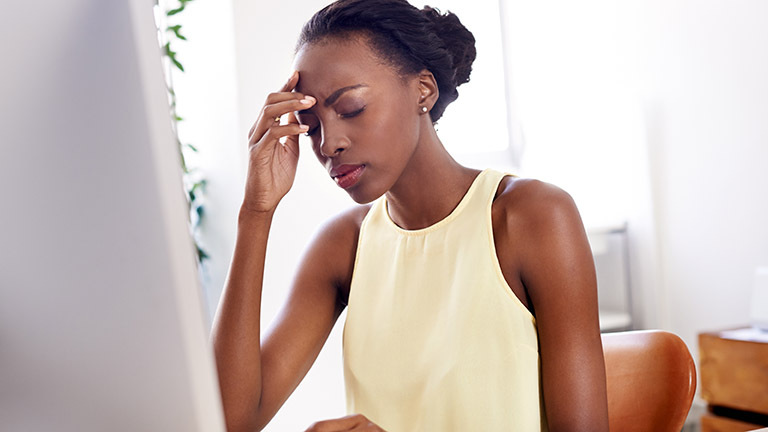 Staring at a monitor screen for hours on end can be irritating to a worker's eyes causing headaches, fatigue, eye strain and even long-term eye damage. 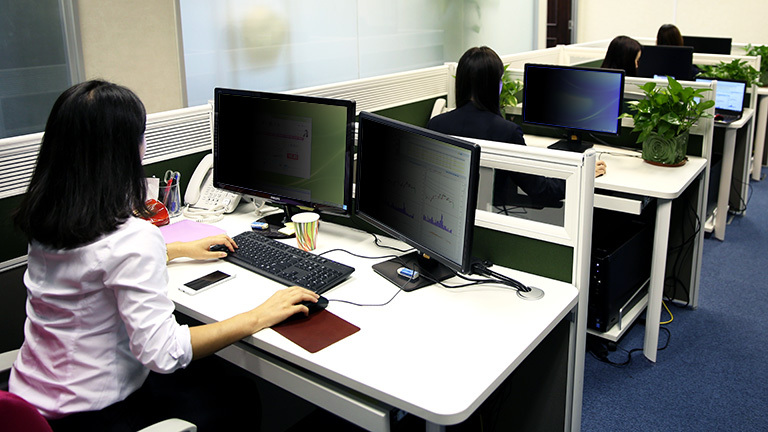 Here are some helpful tips to make viewing a computer screen for long periods of time more ergonomically-friendly, which may, in turn, create a safer and more productive environment for the workplace.